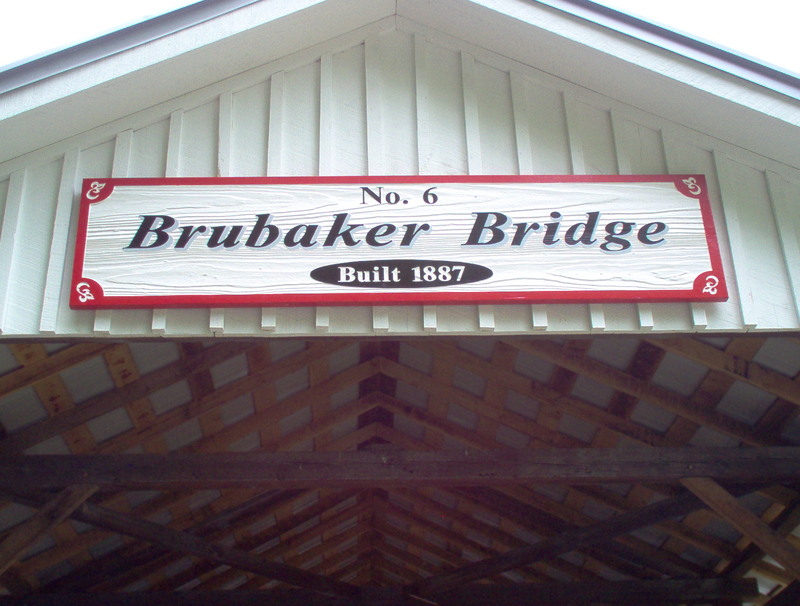 Built in 1887 by E. S. Sherman at a cost of $986.00 and the abutments build by T. J. Smith for $1,422.00, this 88 foot bridge crosses Sam’s Run on Aukerman Creek Road, now called Brubaker Road. 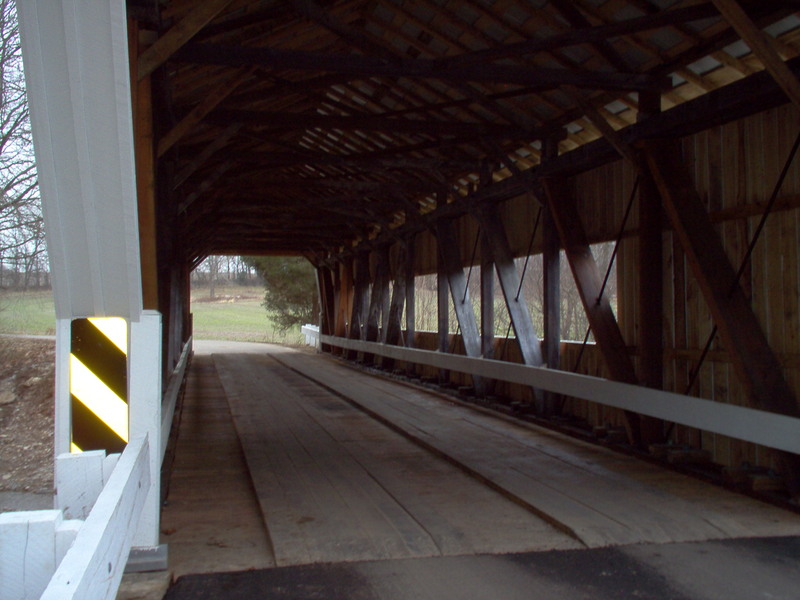 The sides of the bridge are open to give a better sight distance because of the sharp road curves in and out of the bridge. 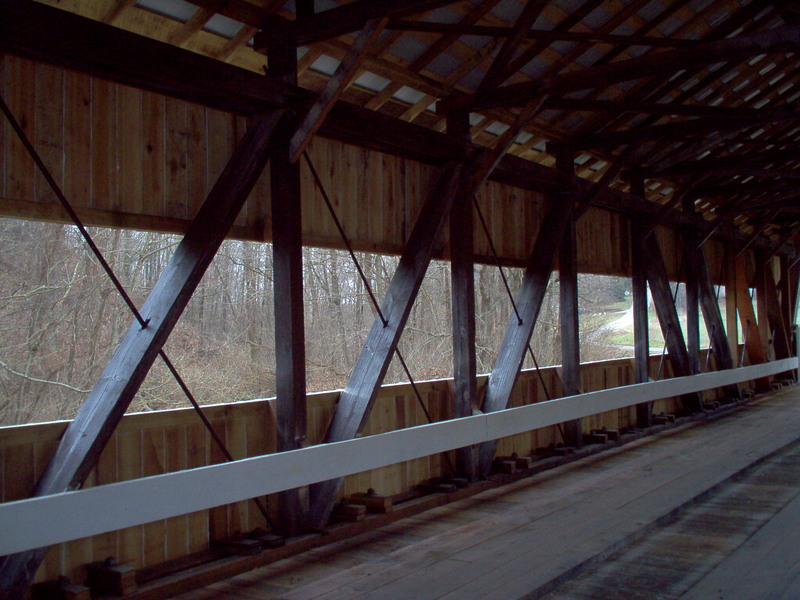 When first built there were no openings on the side of the bridge, but due to safety concerns and the auto industry supplying faster speeds on vehicles, the sides were opened up. 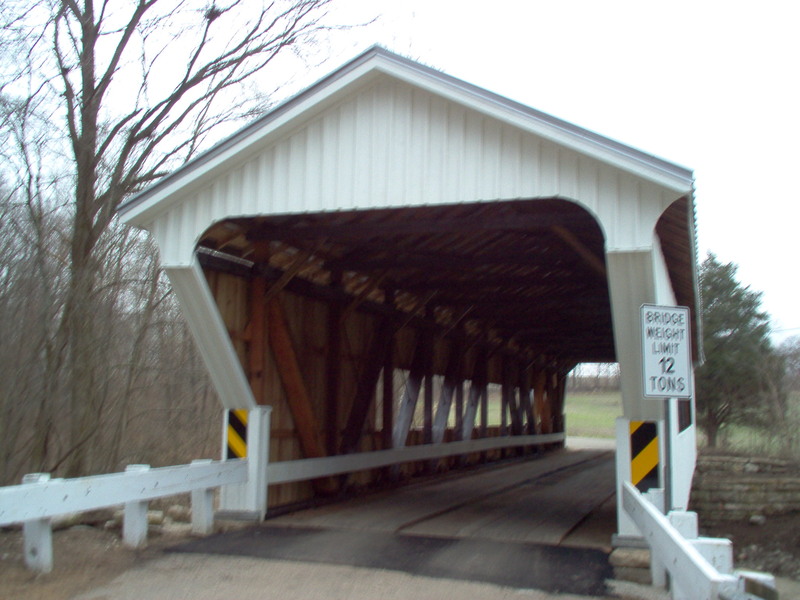 Since the removal of the sides this bridge has increased in scenic value and has become one of the most picturesque in southwestern Ohio. 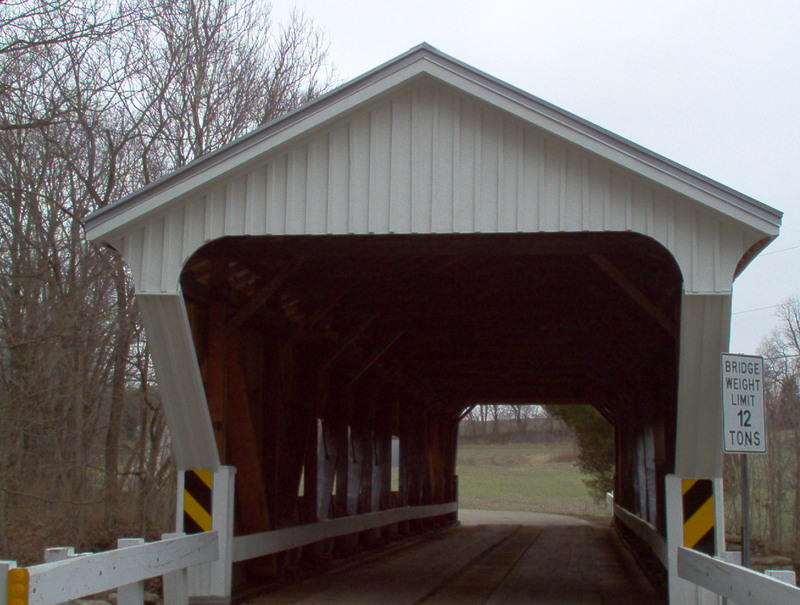 With the style changes, this bridge was painted white, instead of the traditional red. 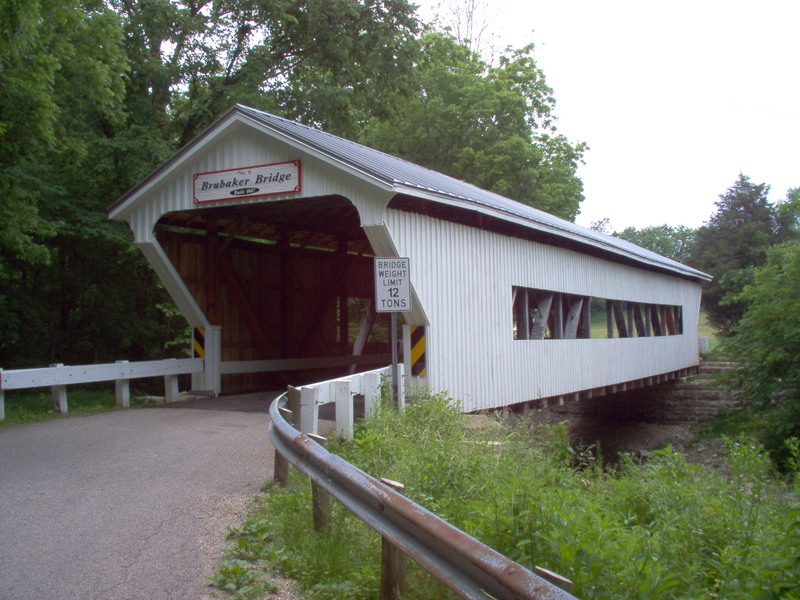 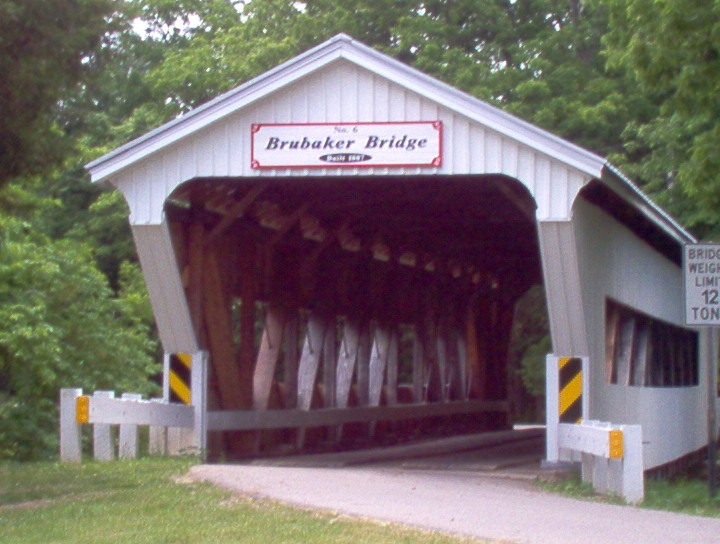 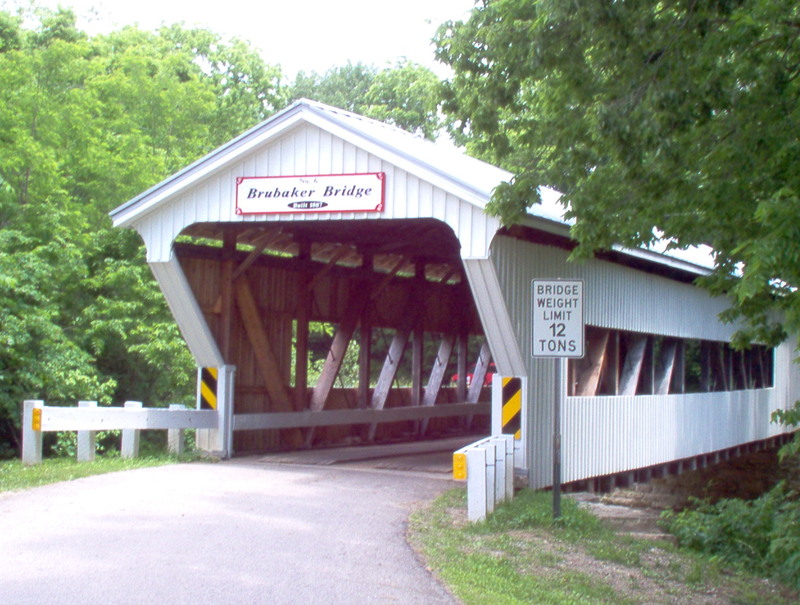 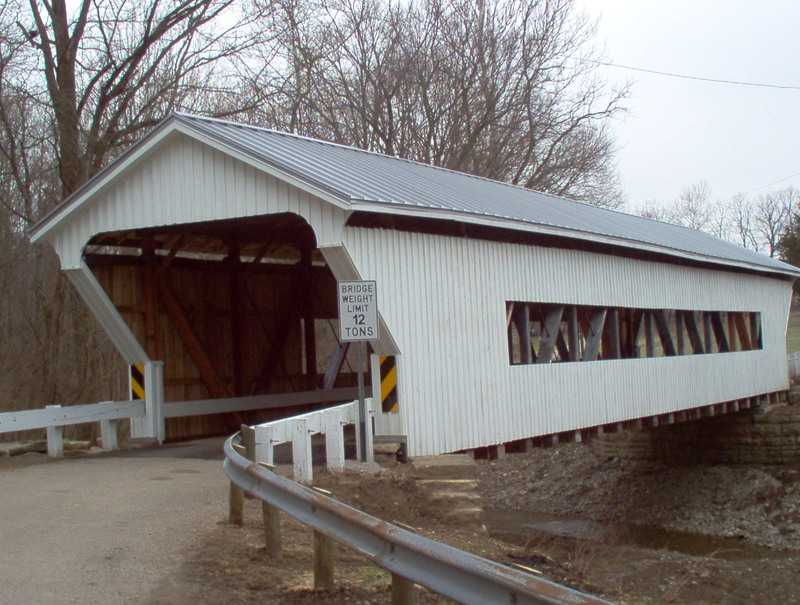 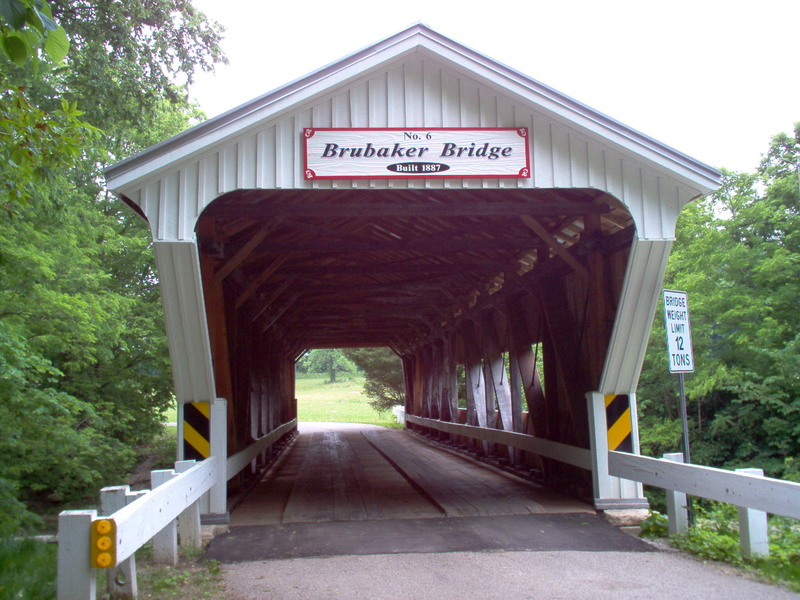 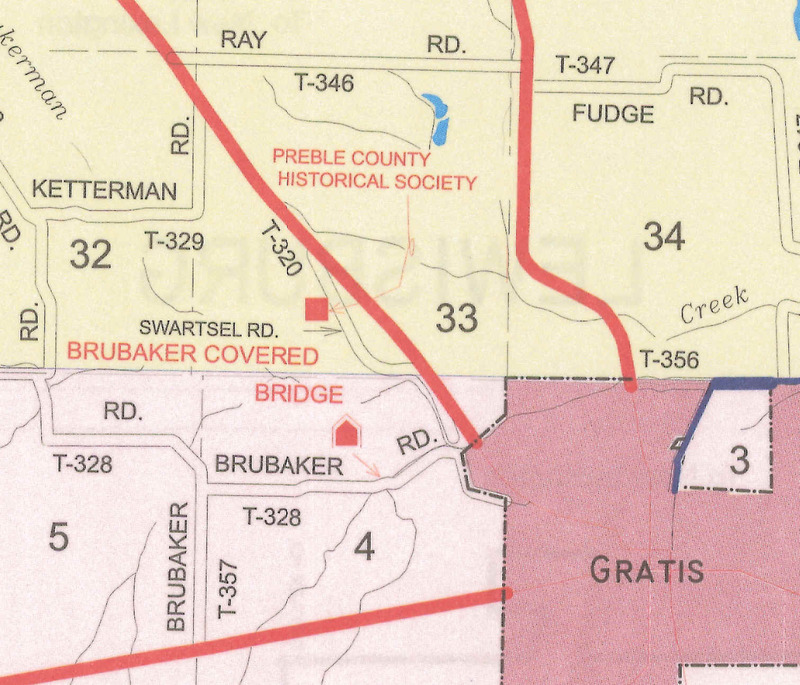 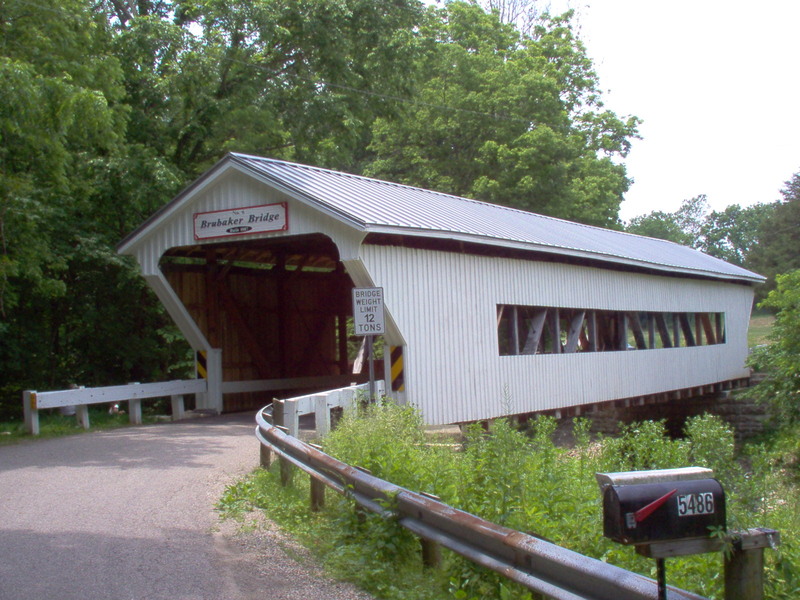 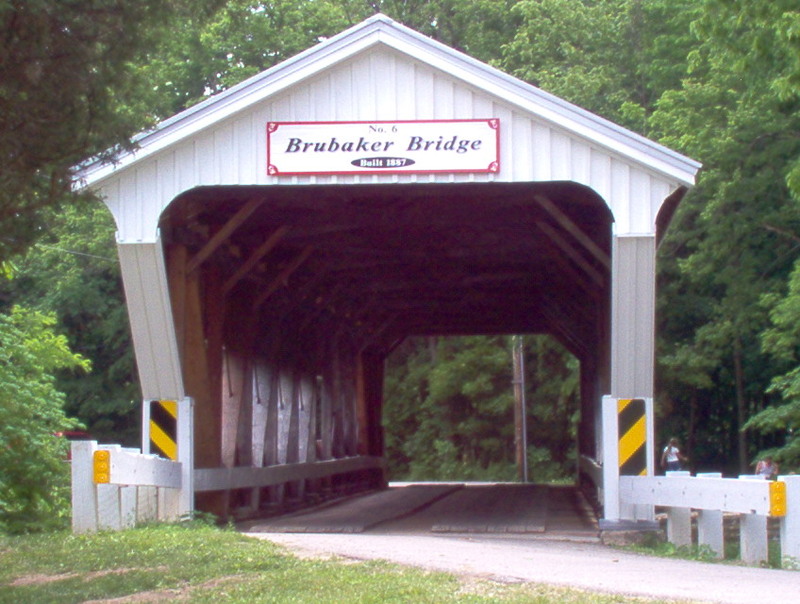 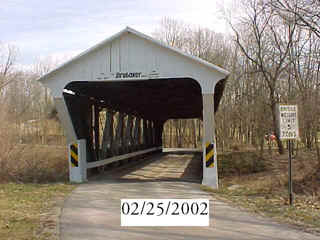 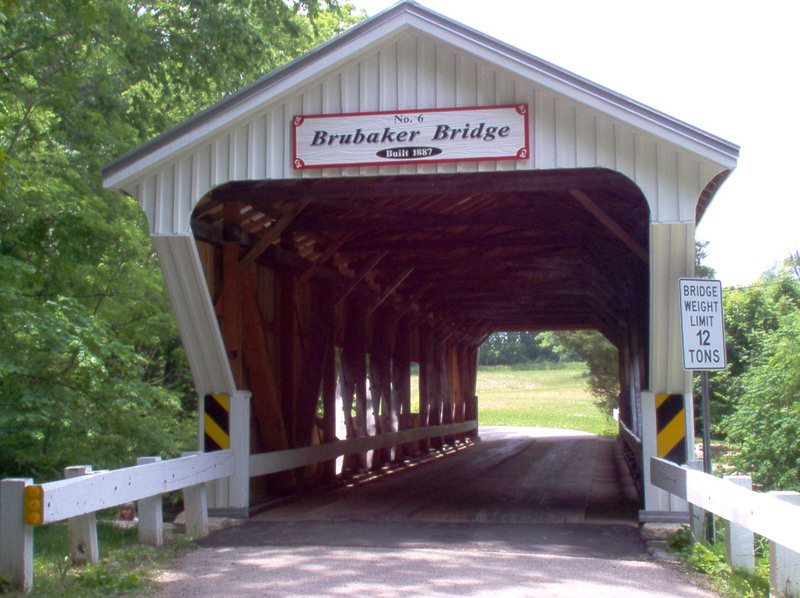 Brubaker Bridge is located one mile northwest of Gratis, near the Historical Society’s Swartsel farm. 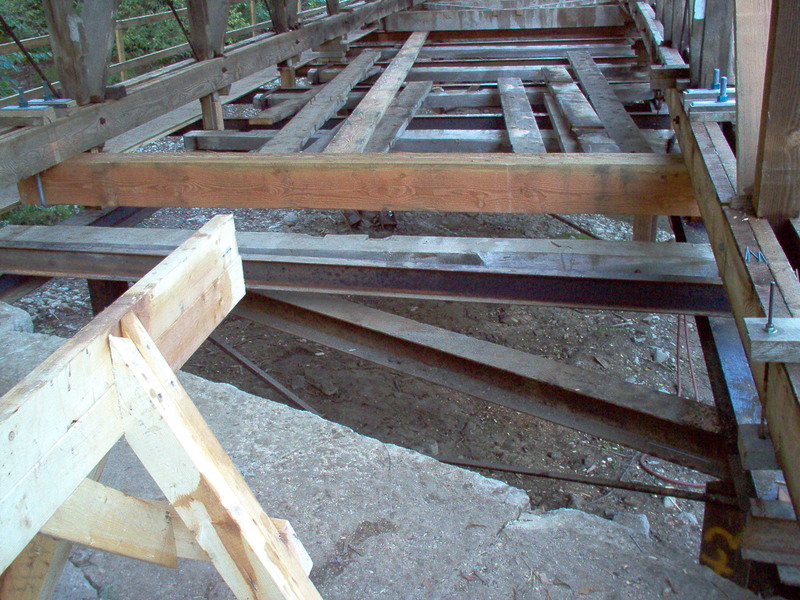 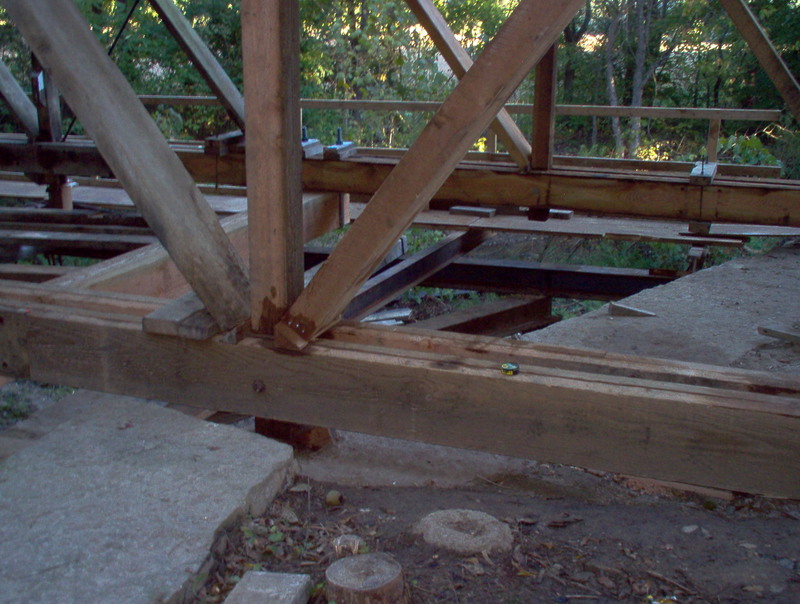 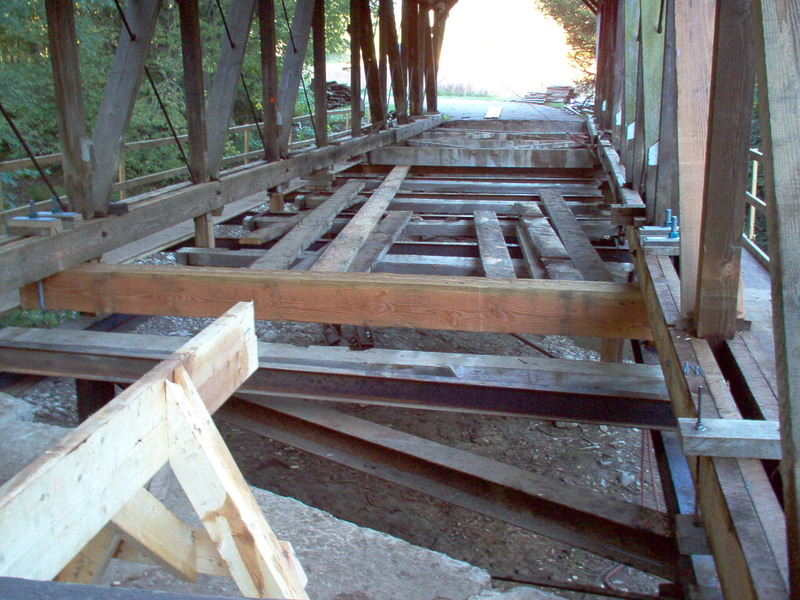 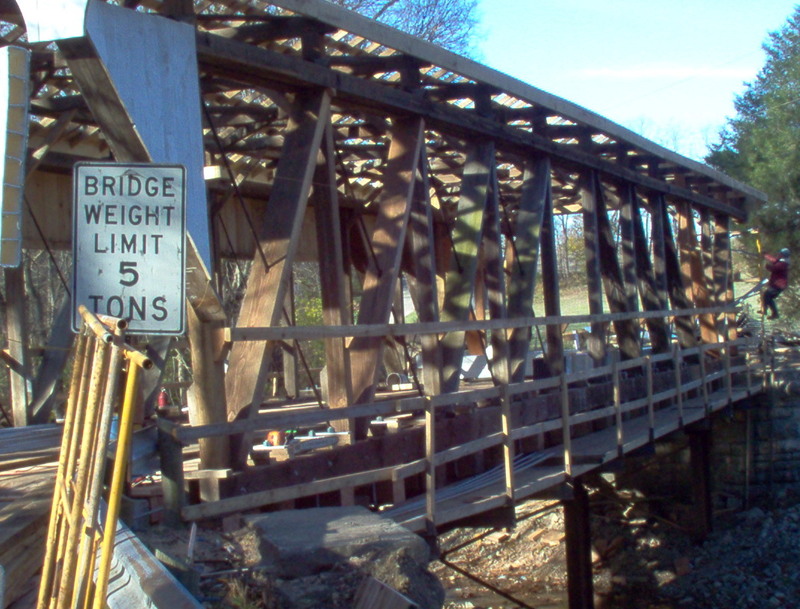 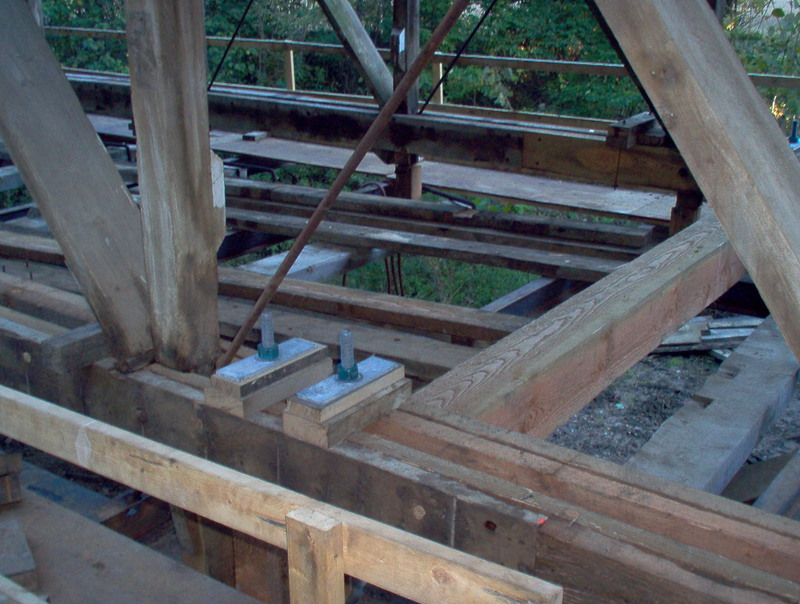 Photographs taken in March 2001 showed a major deterioration of this structure requiring extensive repairs to keep this bridge as an active and working bridge. 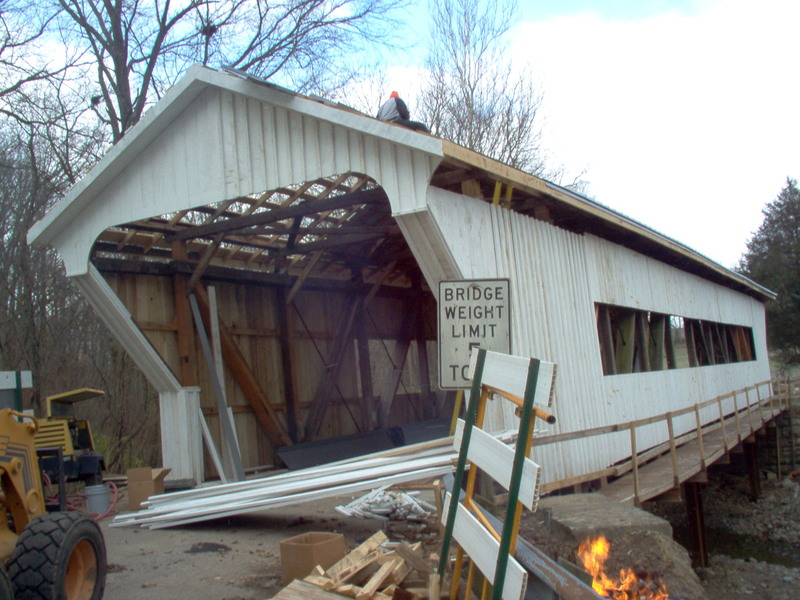 The Engineering Dept. 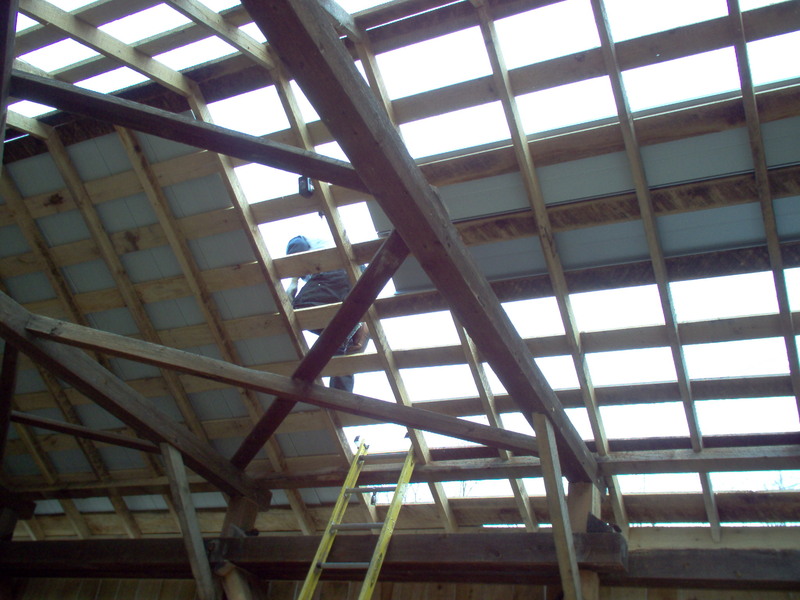 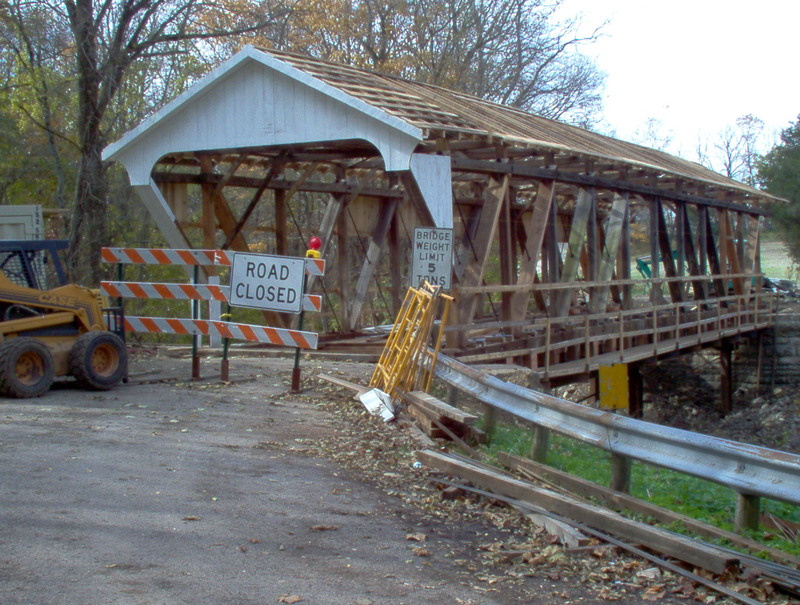 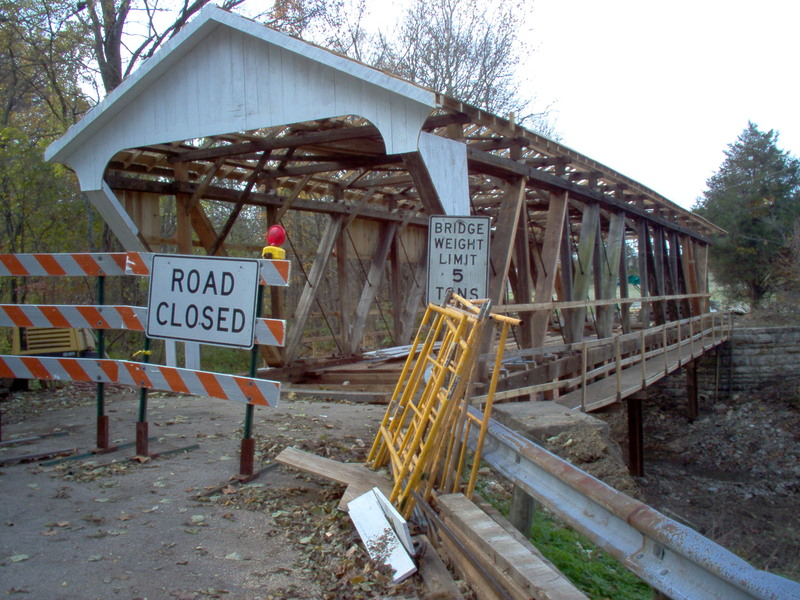 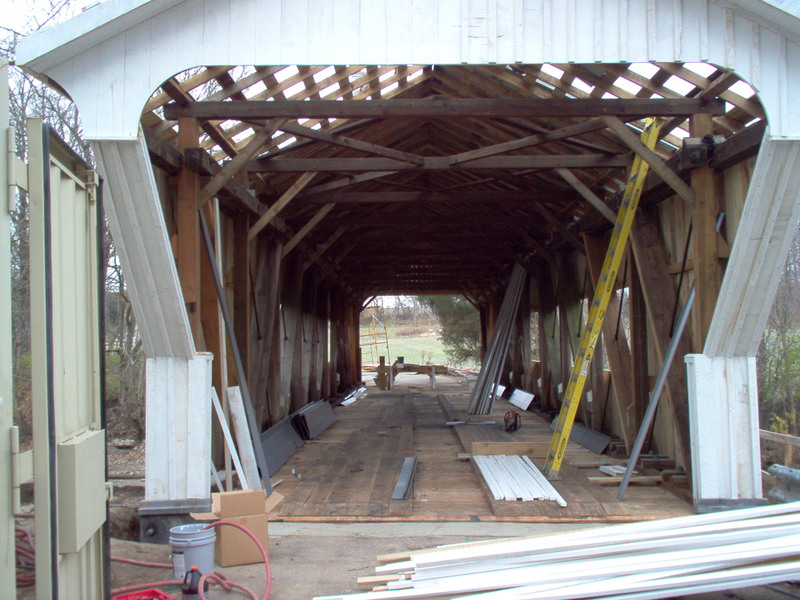 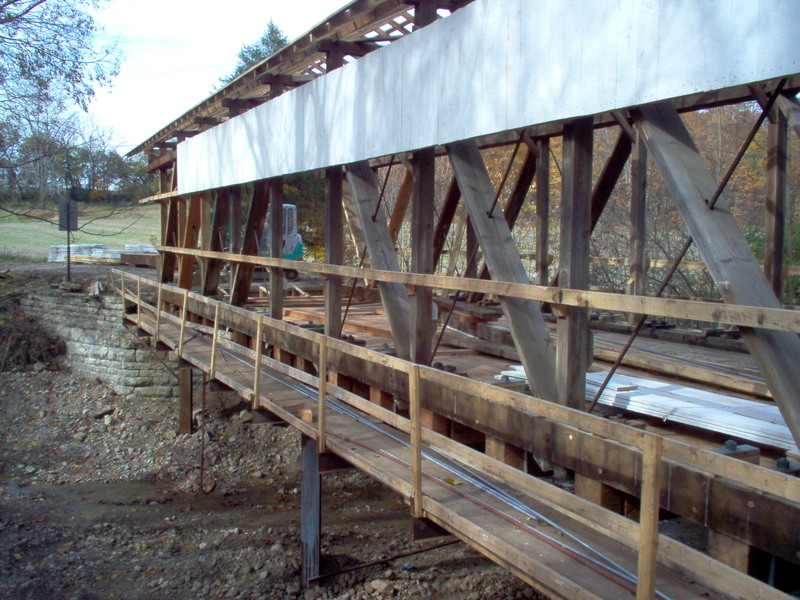 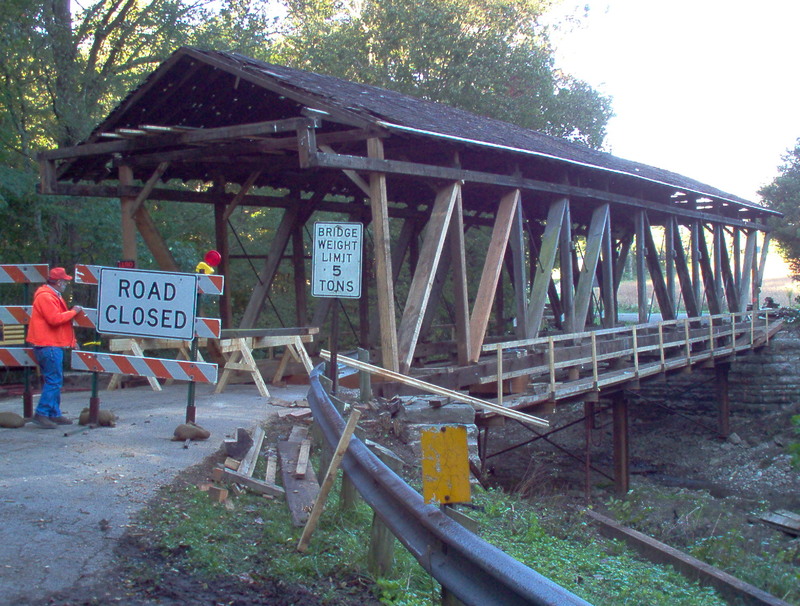 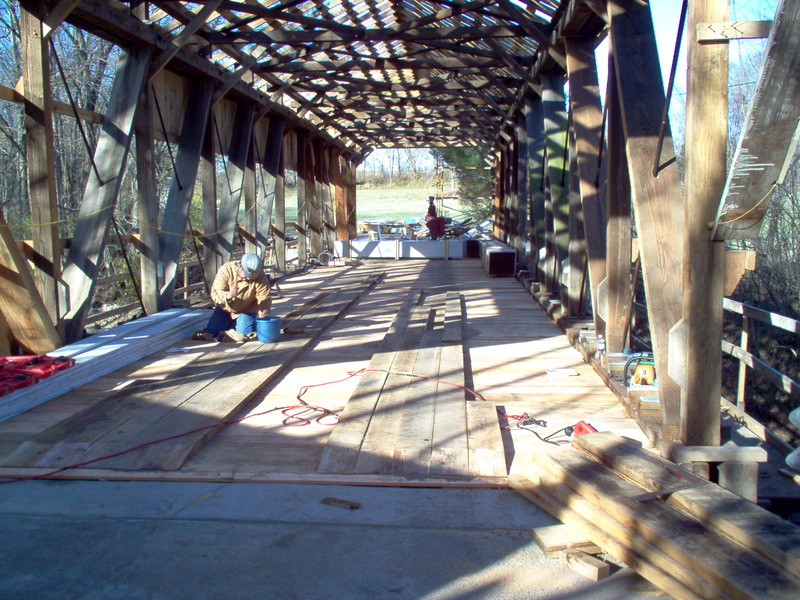 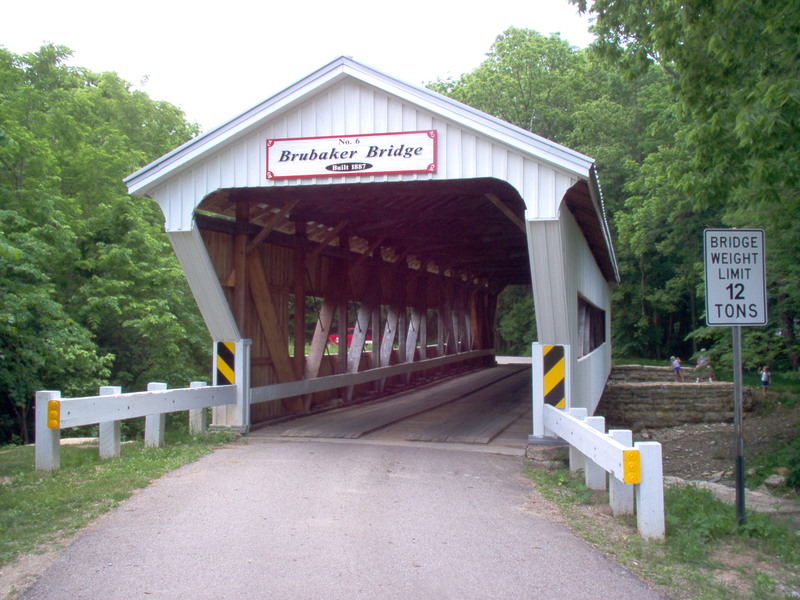 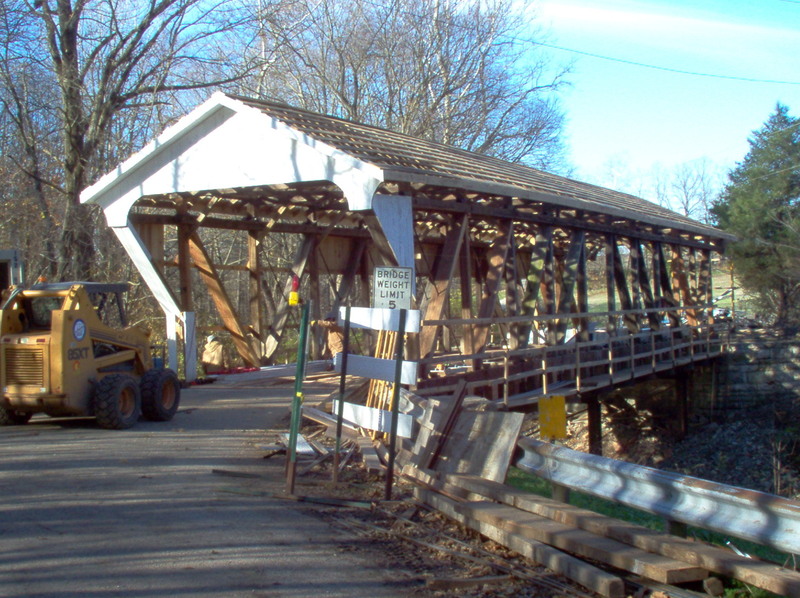 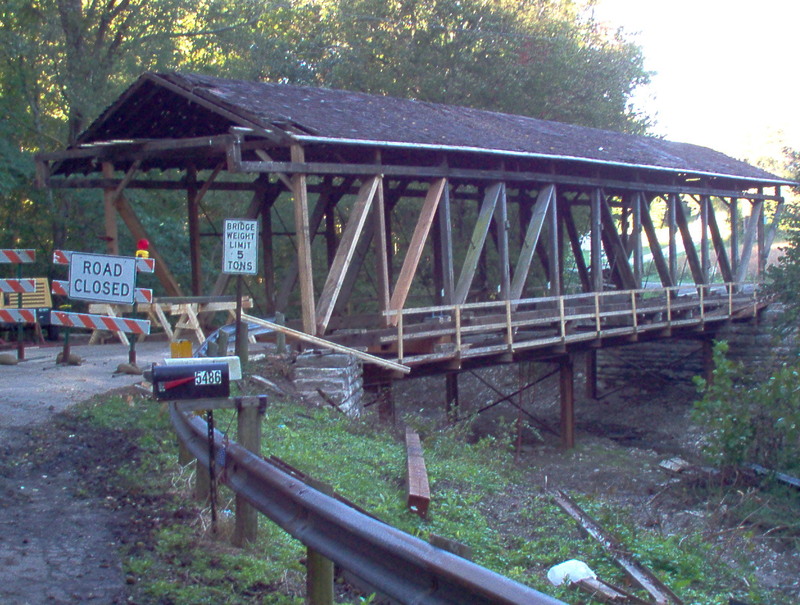 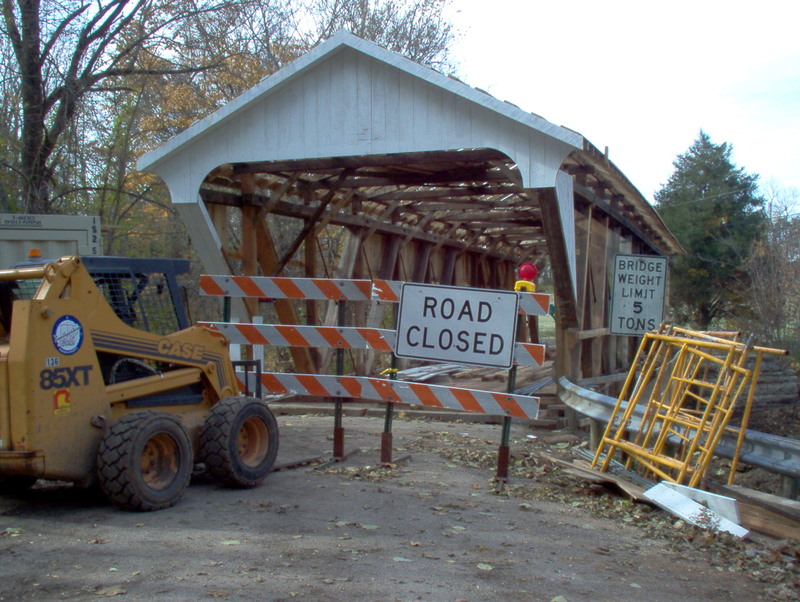 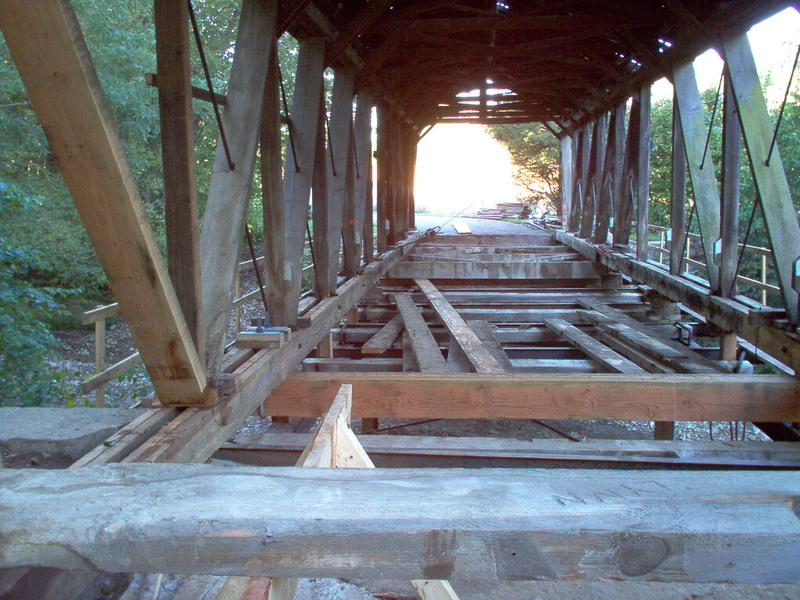 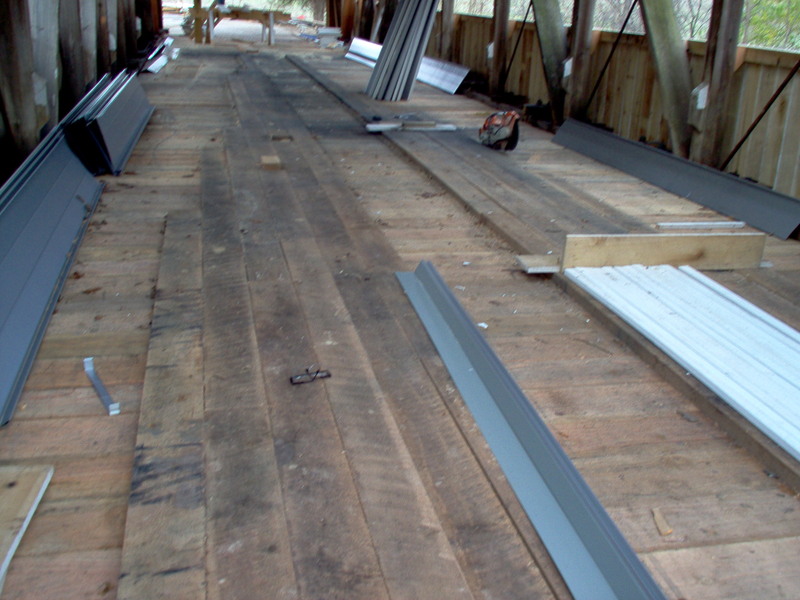 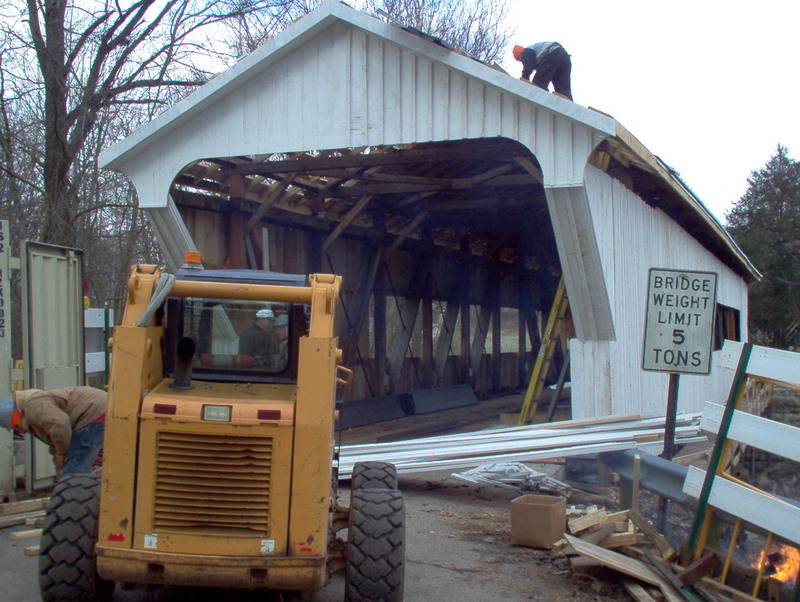 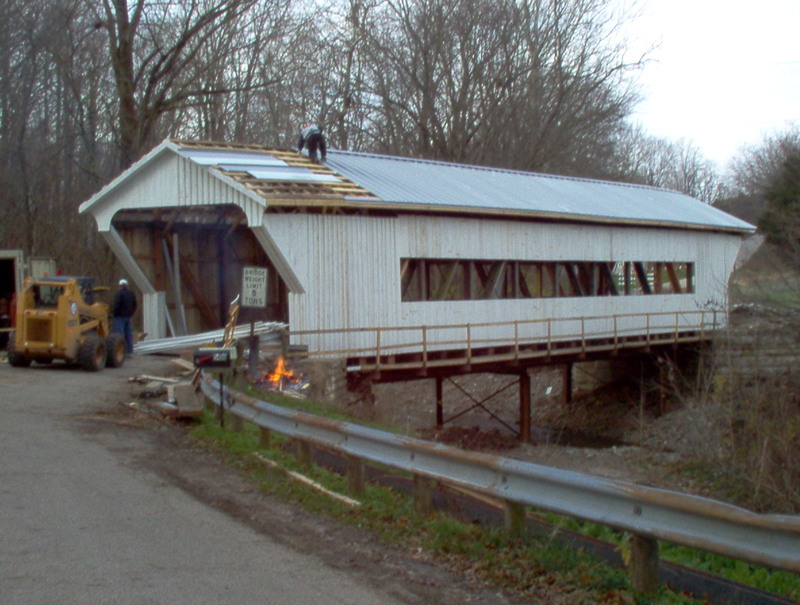 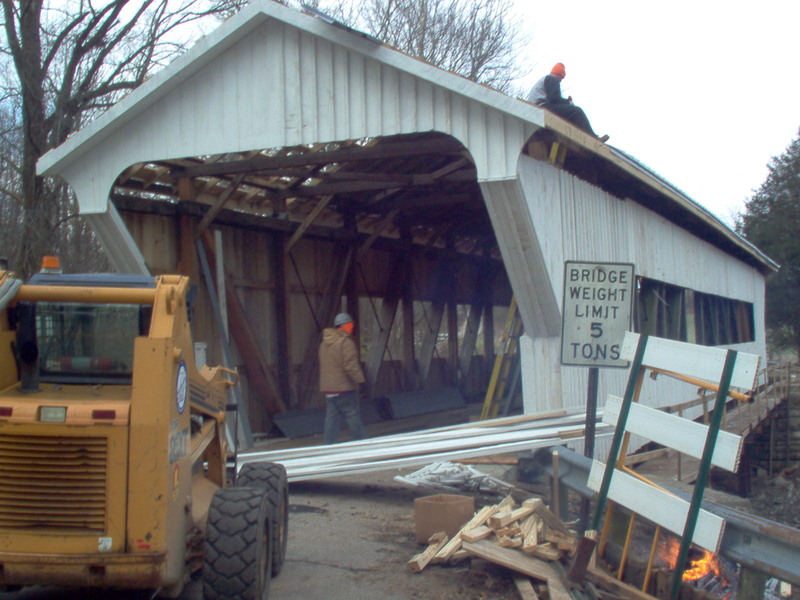 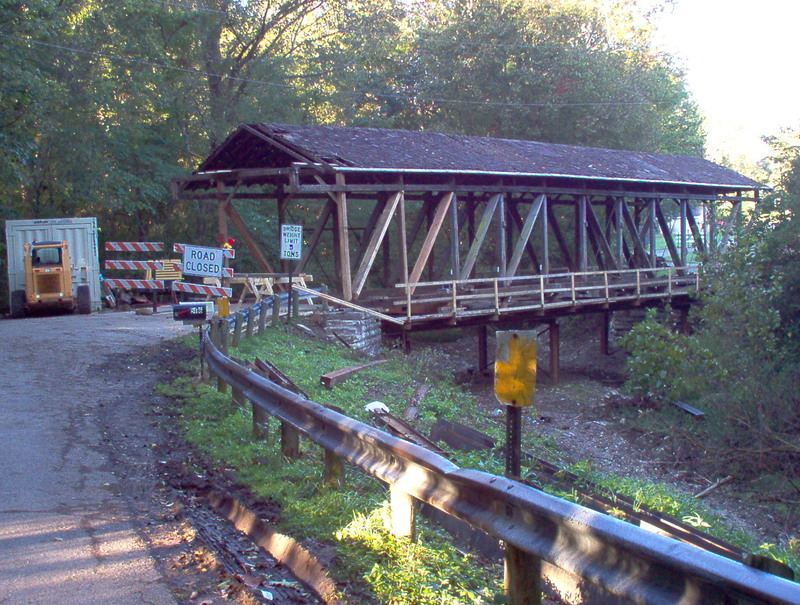 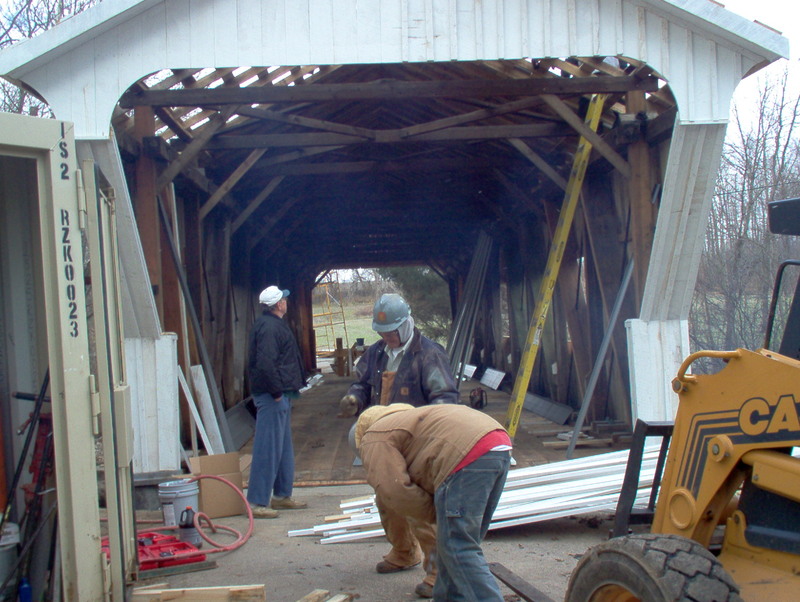 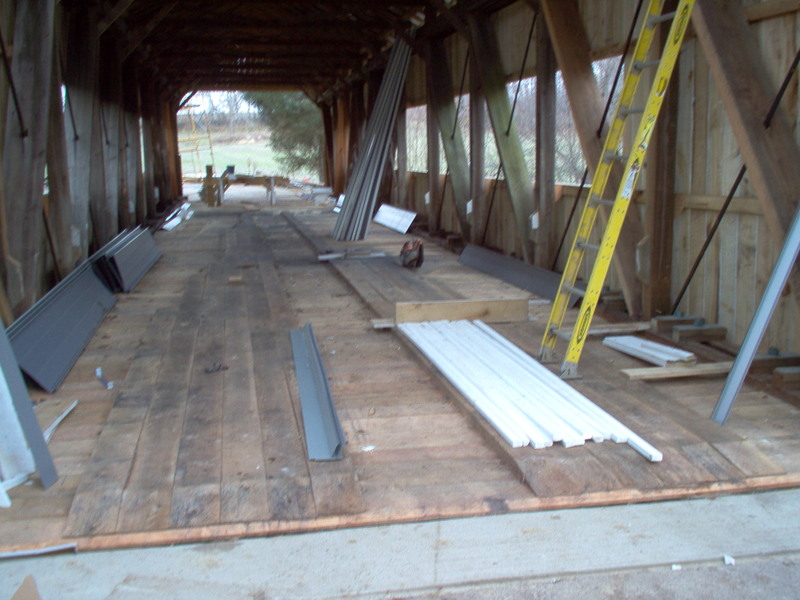 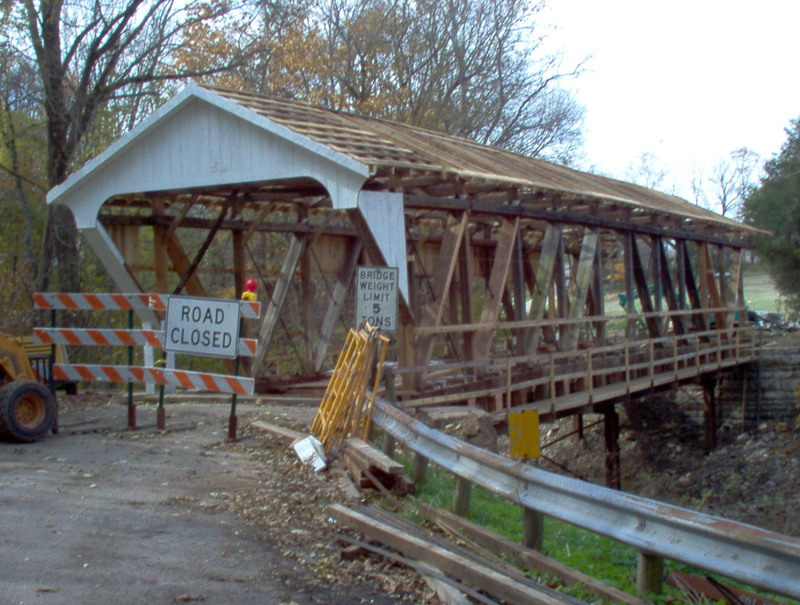 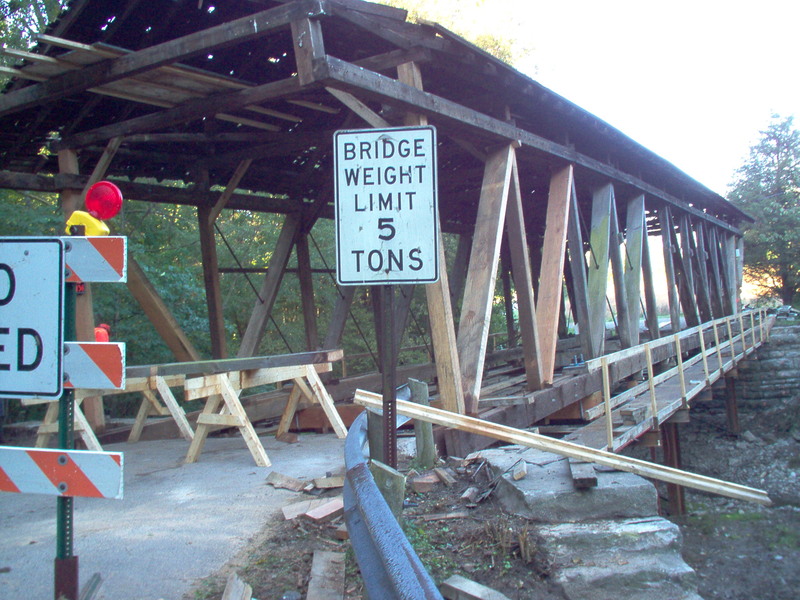 began preliminary work at this time on the Brubaker Covered Bridge Renovation project. 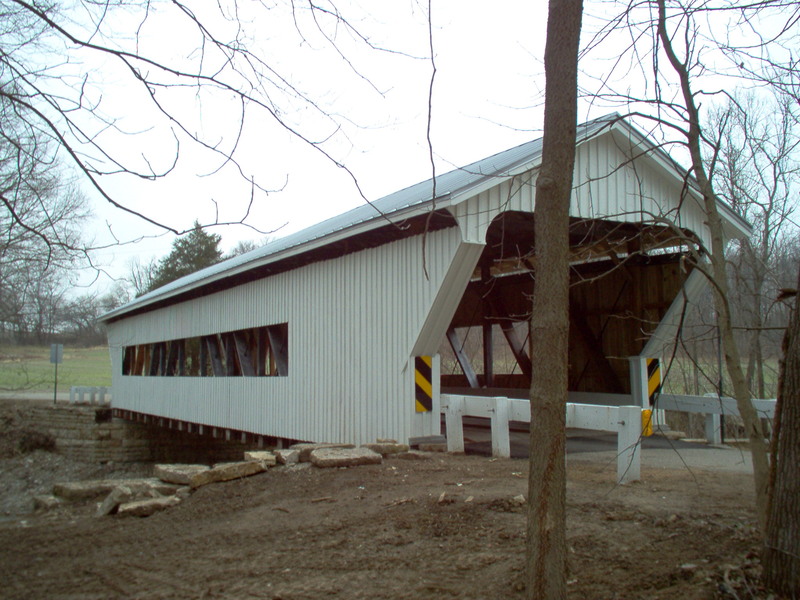 This project was initially approved for the National Historic Covered Bridge Preservation Program using 80% of federal funds. 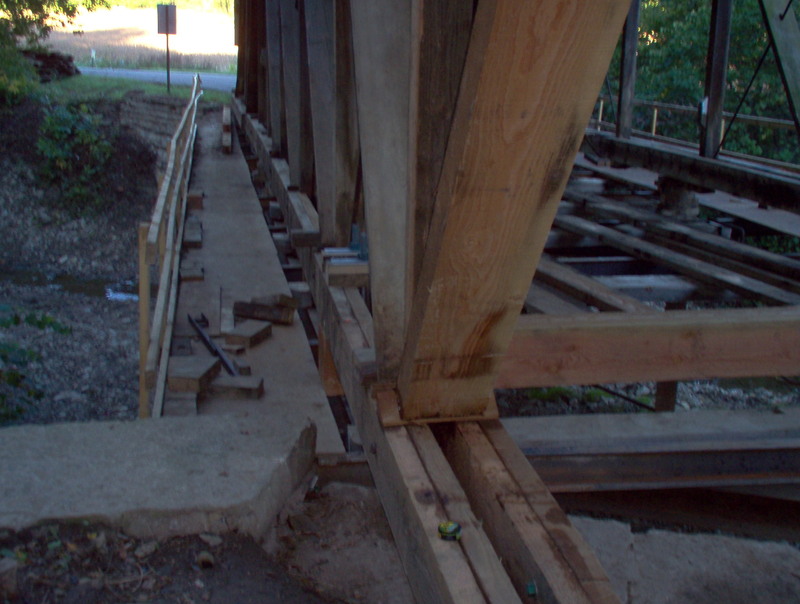 Because of the war in Iraq, the federal funds were not allocated for this previously approved project. 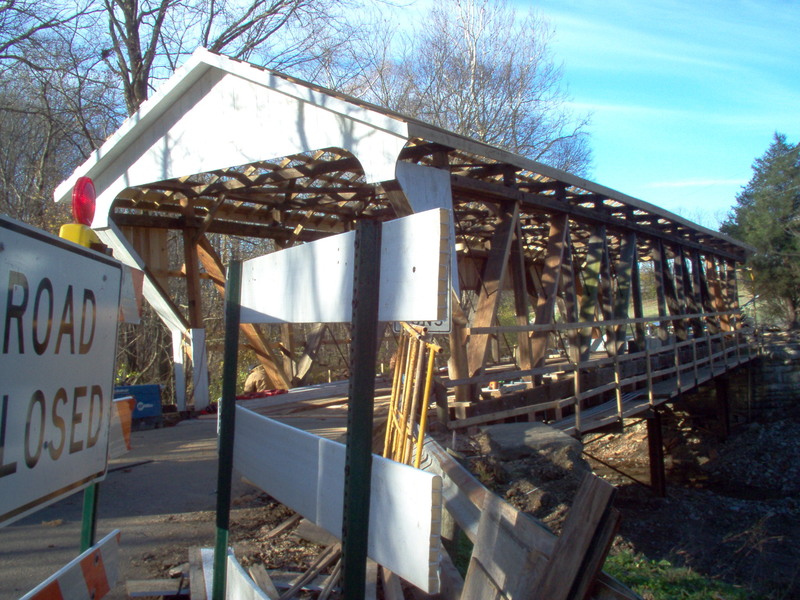 Due to the persuasive efforts of Linda Bailiff of the Office of Local Assistance, ODOT agreed to fund this project using state money and we received $237,600.00 in state funding and used $92,400.00 of PCEO money to complete this project. 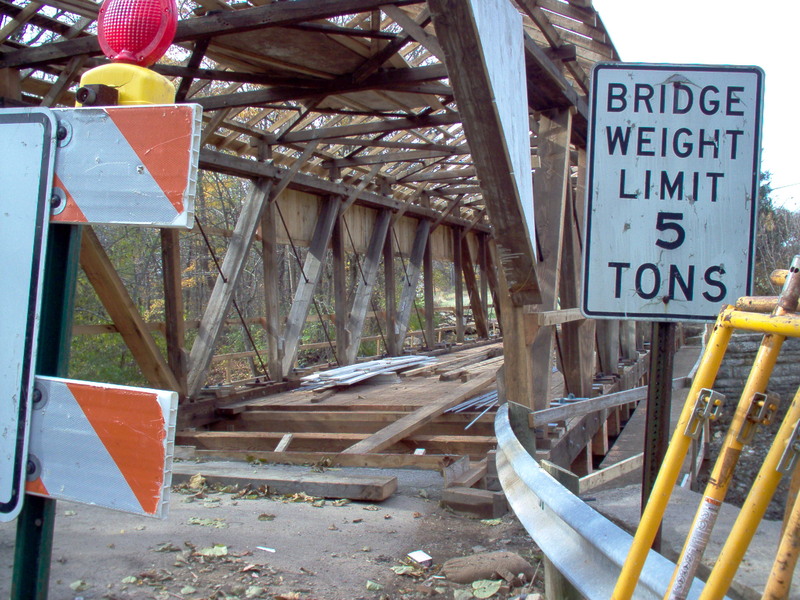 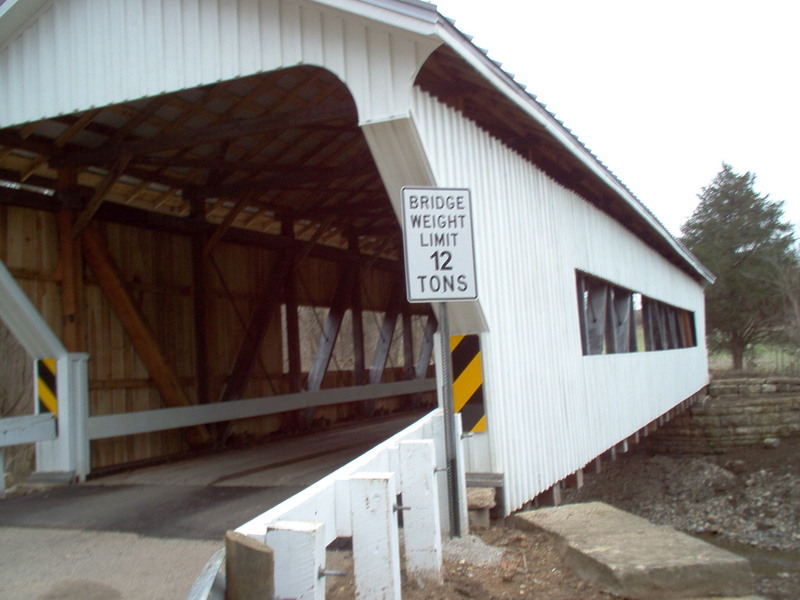 The load limit was also increased from a 5-ton to a 12-ton load limit bridge. 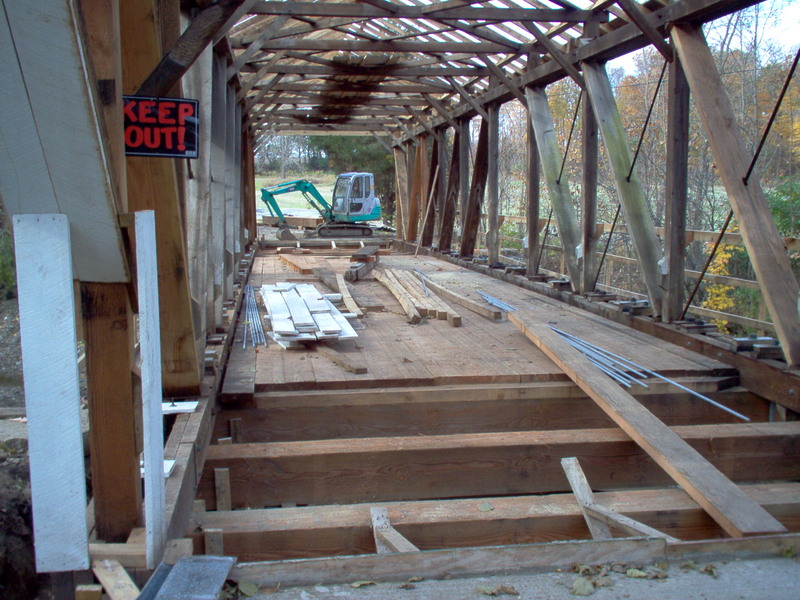 The final walk through of the completed project was June 21, 2006. 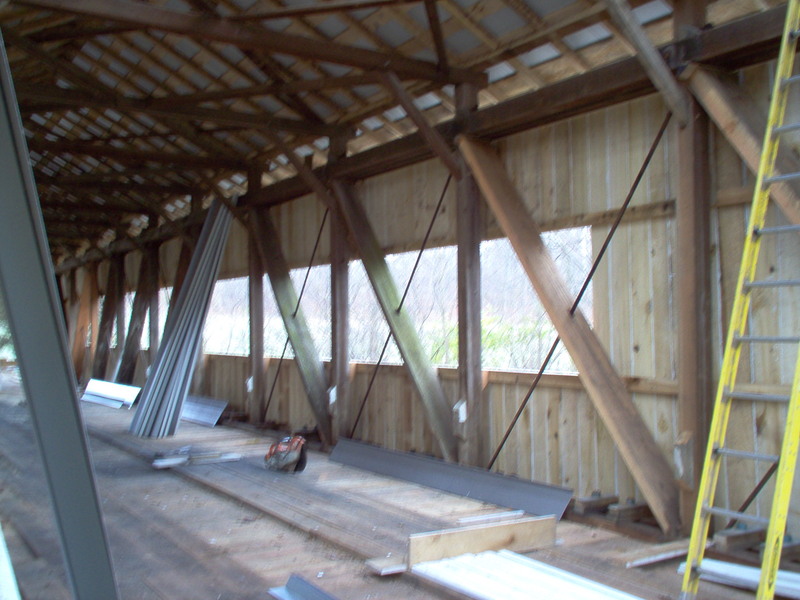 Those outside organizations that assisted in this project were The Righter Company, Gresham Smith & Partners, and Vital Signs.